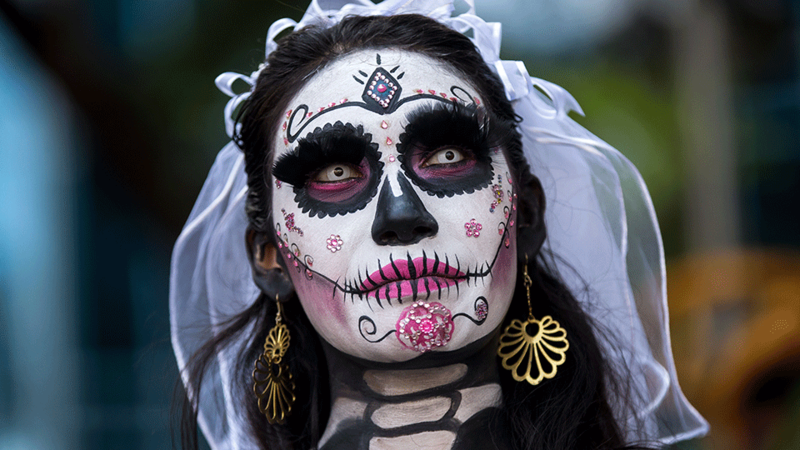 Halloween season is finally here, and we know exactly what you’re thinking: What will I be? How do I create the look? Will I actually be able to do it well? To be honest, committing to a Halloween costume is harder than choosing a face mask at Sephora (we got you covered, BTW). It’s damn near impossible. Thankfully, with the help of our favorite makeup artists, answering these questions has never been easier. 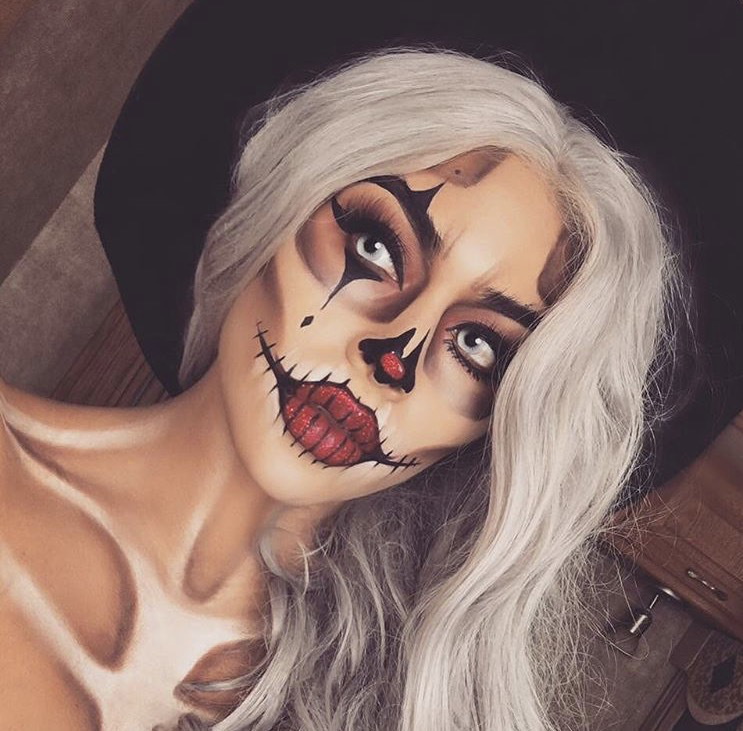 As it turns out, the most killer looks can be created at home without an expert on hand. 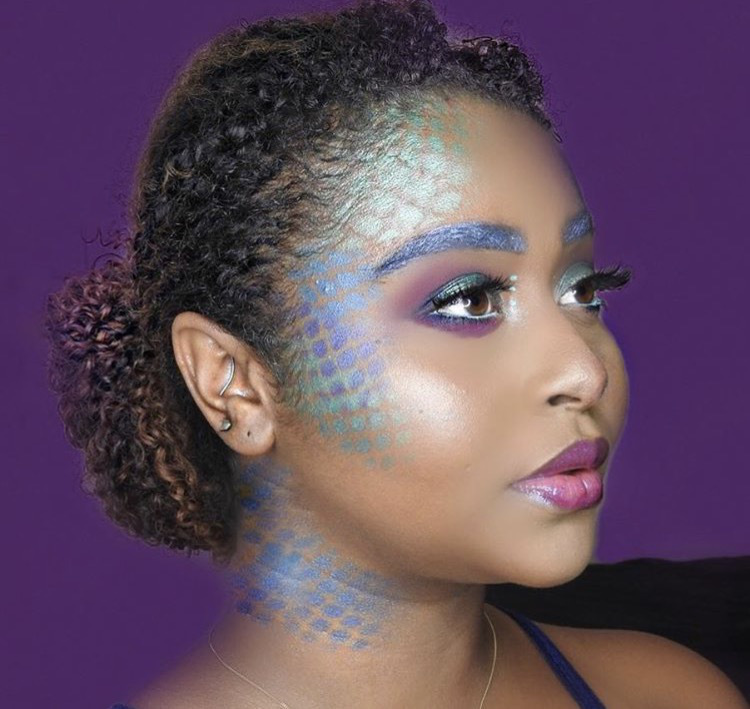 Did you know that you can create a mermaid look with fishnets or even a cheesecloth? And that you don’t need a fancy contouring kit after all? 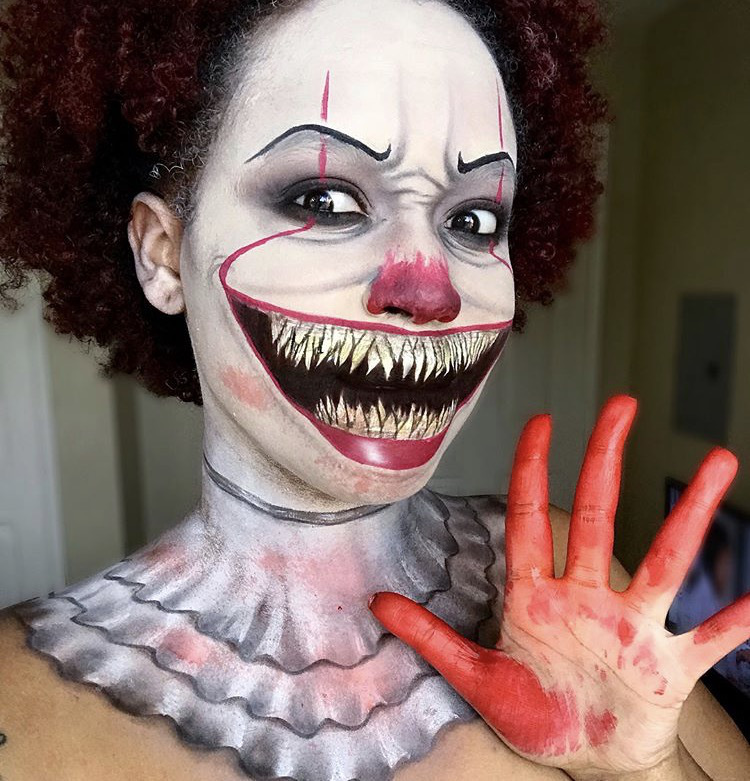 Take a peek at these tips from our favorite makeup experts to inspire your next Halloween costume. Using water-based face and body paint makeup allows for easy removal with a gentle facial cleanser. It also washes off your clothing easier than oil-based formulas. Rachel Estabrook, a Mehron Makeup Artist, likes to start by covering the entire face (except around the eyes) with wet makeup to give your look a great foundation. Always paint large base areas with a sponge first. Next, focus on the smaller details with a brush. 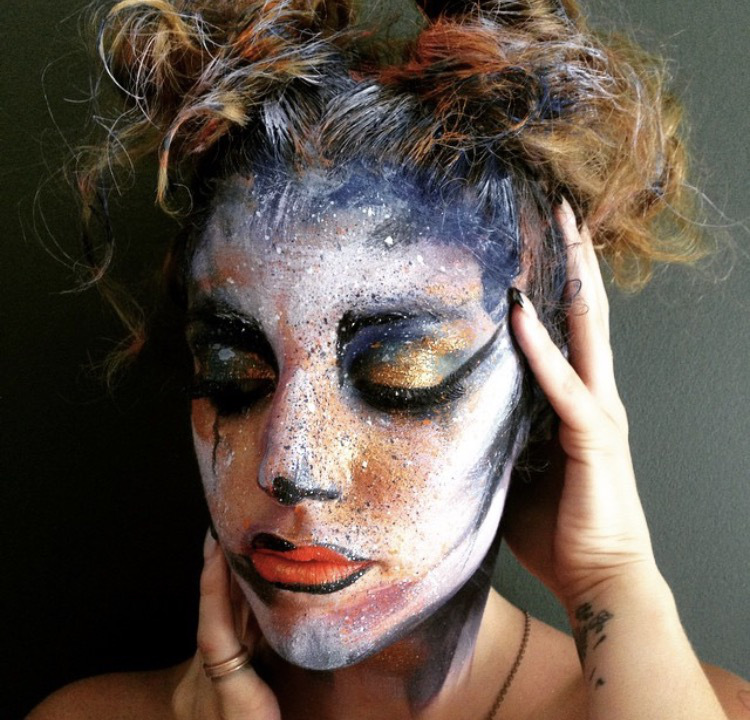 When mastering a DIY Halloween look, think about your makeup products differently. Instead of only using lipsticks for your lips, try using them on another body part. 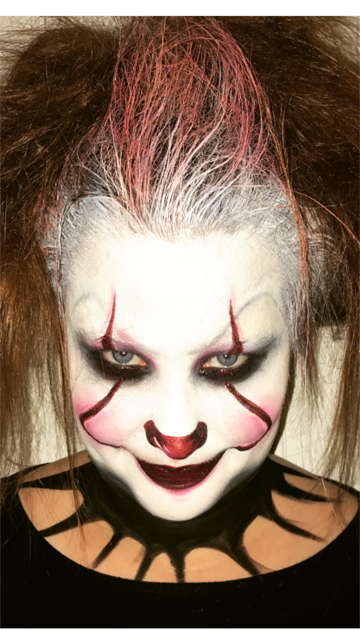 For a clown look or more devilish character, you’ll want to make sure the brow is thin and very arched. “Line above your brow line lightly with Mehron E.Y.E Liner Pencil in black to create the thin arched brow,” says Estabrook. If you are heavier handed, lightly go over the eyebrows with wet makeup and soften. It may be tempting to cake on the makeup, but don’t do it! Heavy makeup will flake and often peel when dried, leaving you with patches of makeup by the end of the day. If you’re in a pinch and need an easy mermaid look, apply any shimmery eye shadow (silver, pearl, something with glitter, etc.) 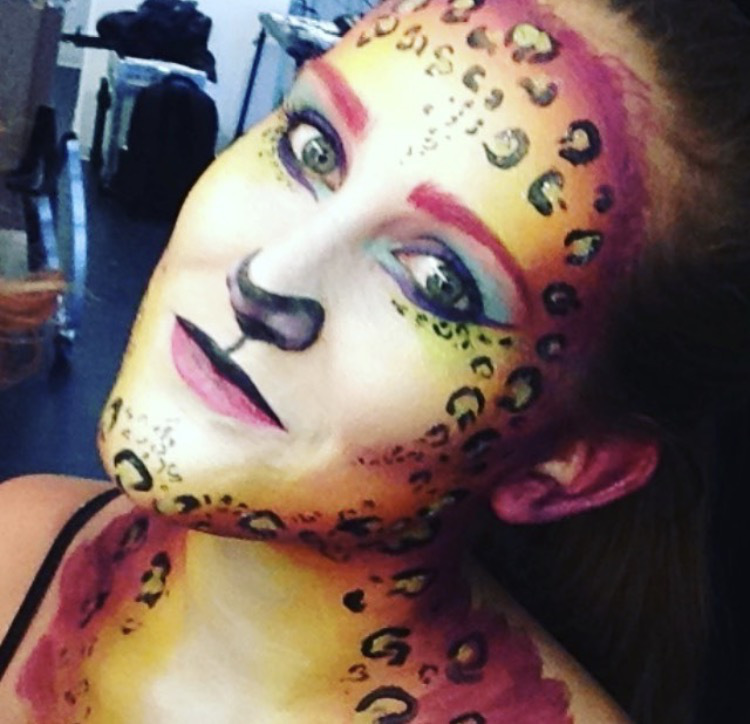 all over your face, says Kryolan Makeup Artist Kelly Thompson. Then, place fishnets, a cheesecloth or something with a large weave around your forehead. Take a contrasting shimmery eye shadow and brush over it like a stencil. For an easy ice princess look, follow the same steps without the netting. When your fun night has come to an end, it’s time to be smart with makeup removal. 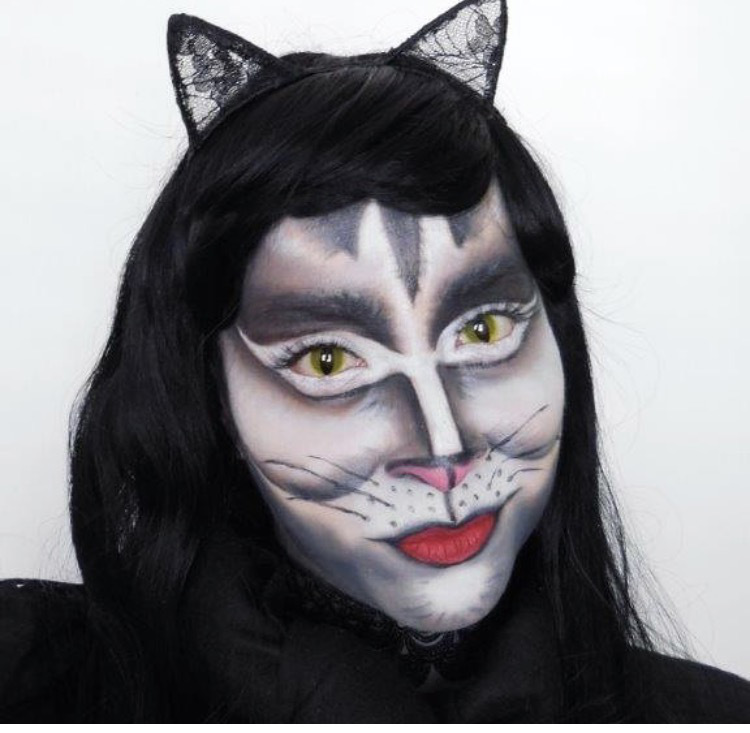 The key to removing Halloween makeup is not to rush, says Dr. Melissa Kanchanapoomi Levin, NYC dermatologist and clinical attending at NYU Langone Health and Mount Sinai Hospital. In fact, she recommends letting the makeup remover sit on the skin for a couple of minutes in order to minimize excessive friction by rubbing. A good mild cleanser that’s sure to get the job done is Cetaphil Daily Facial Cleanser. “I prefer oil-based cleansers, such as Elizabeth Arden Ceramide Replenishing Cleansing Oil on heavier makeup looks since the oils will break through heavier consistencies and waterproof cosmetics without requiring repeated scrubbing, which can irritate the skin,” she says.